The earthquake in Haiti was one of the top five deadliest disasters in contemporary history, claiming more than 315,000 lives. The disaster was also one of the most widely covered events in modern history; international media attention helped raise $5.6 billion in funds in the two years following the earthquake. What happened? Where did the money go? 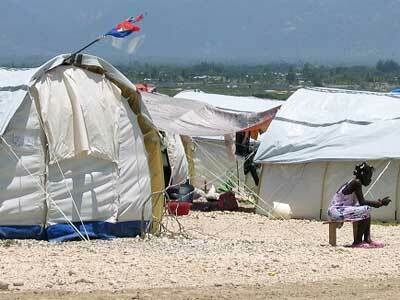 Nearly four years after the earthquake, media attention on Haiti has significantly diminished. 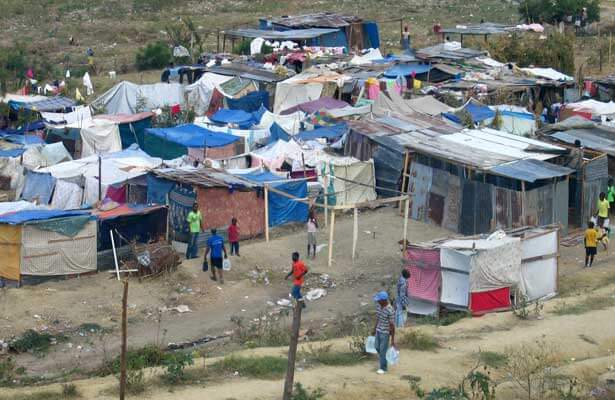 And yet, living conditions there have improved only slightly and are among the worst in the world: 325,000 people are still living under tents in scores of camps. The concert begins at 6:30 p.m. Friday, Sept. 6, at The House Café, 263 E. Lincoln Hwy. All proceeds will support the installation of an exhibit at the Anthropology Museum. This incredible evening of Caribbean culture and music will feature inspiring performances by the NIU Steelband, Haitian artist Jan Sebon and Friends, Todd Donnelly from Mr. Myers Band; live auctions; and more. Doors open at 6 p.m. Tickets are $20 for general admission and $10 for students. Receive $3 off for reserving tickets in advance by calling the Anthropology Museum at (815) 753-2520. Opening in November 2013, “Fragments: Haiti Four Years After the Earthquake” will allow visitors to explore the life histories and living conditions of Haitian people living “under the tents.” Visitors will be able to visit a wind-and-sun battered tent from Haiti and view artifacts of tent life. To understand the increasing risks of life in a tent village, the exhibition includes the charred remains of a tent from an act of arson by armed paramilitaries carrying out forced evictions. Reproductions of a typical dwelling in one of Port-au-Prince’s shantytowns, a school room and a cot invite all visitors to experience life as a Haitian living “under the tents” yet today. Bring a bottle of water to the exhibition and contribute it to our representation of the 8,000 victims of cholera, a disease accidentally carried to the area by U.N. relief troops. Visitors will also meet Haitian activists trying to make a difference and will be able to learn about and take action on cholera, forced eviction, housing rights and aid accountability. Founded in 1964 by the Department of Anthropology in the College of Liberal Arts and Sciences, the Anthropology Museum houses a permanent collection of more than 12,000 ethnographic and archaeological objects. Collections emphasize Southeast Asia, but include textiles, baskets and ceramics from throughout the world. With a dynamic schedule of exhibitions and programs in the newly renovated Cole Hall, the Anthropology Museum is a cultural destination for residents and visitors to DeKalb. The museum is open from 10 a.m. to 4 p.m. Tuesday through Friday and from noon to 4 p.m. Saturday. Admission is free; all are welcome. For more information, call (815) 753-2520 or email AnthroMuseum@niu.edu.